Know – may Allah give you and us success, rectify our worldly and otherworldly lives, and grant us adherence to the way of the Truth in our journeys and our sojourns – that repentance (taubah) is a key, piety (taqwa) is vast, and uprightness is the source of rectiﬁcation. Furthermore, a servant is never free of blunders, shortcomings, or lassitude. Therefore, never be neglectful of repentance; never turn away from the act of returning to Allah; and never neglect acts that bring you closer to Allah. Indeed, any time you fail to do one of these three things, repent and return. Any time you make a mistake, listen and obey. Anytime you display shortcomings or show lack of enthusiasm, don’t desist in your efforts. Let your main concern be to remove from your outward state anything displeasing, and then continue to work on your outward state through continuous counsel. Continue doing this until you ﬁnd that ﬂeeing from anything outwardly displeasing is second nature to you and that your avoidance of the boundaries of prohibited things is as if it has resulted from a protective net that was placed before you. At this point, it is time to turn inward toward your heart’s presence and to its reality with both reﬂection and remembrance. Don’t hasten the end result before you have completed the beginning, but, likewise, don’t begin without looking toward the end result. This is so because the one who seeks the outset at the end loses providential security, and the one who seeks the end at the outset loses providential guidance. Act in accordance with principles and the appropriate legal rulings (of Deen) and not in accordance with stories and fantasies. Don’t even consider stories of how things went with others except as a tonic to strengthen your resolve, certainly not as a reference based upon their outward forms or what they seem to be revealing. In all of this, depend upon a clear path to which you can refer and a foundation upon which you can rely no matter what your state. The best of these is the path of Ibn ‘Ata Illah because it gives clear direction to Allah. Do not take from others’ words unless it is in accordance with your own path, but submit to their implications if you desire realization. Avoid all forms of vain and foul speech to your absolute utmost. Put aside anything if unable to discern its beneﬁt immediately. Beware of being extremely hard on your selﬁsh soul (nafs) before you have obtained a mastery over it, but also beware of being too lax with it regarding any of the sacred rulings. This is so because it is constantly ﬂeeing from moderation in everything, and it inclines toward extremism in both matters of deviance and guidance! Seek out a companion to help you out in your affair, and take his counsel concerning matters that occur from both your inward states and your outward affairs. If you do indeed take his companionship, then treat him in a manner commensurate with his state, and give him of yourself based upon his inabilities and abilities because the perfected companion can no longer be found. Indeed, in these times, even a suitable companion who is agreeable rarely lasts. Furthermore, beware of the majority of people concerning both your religious and worldly affairs, unless you have ascertained they have a sound relationship with their Lord, rooted in knowledge which is free of caprice and love of leadership, and they are in possession of sound intellect, free of the pitfalls of hidden agendas. Do not be heedless of the machinations of others or their hidden states. Consider these two from both their origins and their actions. People of high character and family distinction are almost always beneﬁcial; on the other hand, excruciating circumstances compel a person of low character and origin to forsake others in need. Be extremely vigilant of the dominant qualities of a given people in any given land, and don’t be heedless of the Divine wisdom in the creation; notice gathering in separation. Organize your hours in a manner appropriate to each time’s speciﬁc needs, using a gentle and tolerant approach all the while being very wary of the extremes of rigidity and laxity. With laxity, this is especially necessary given that too much latitude in permitted matters sets the heart back on its journey to such a degree that even a man of resolve ends up looking like a foolish child. Work for this world as if you will live forever, but work for your next life as if tomorrow you die. In other words, do not neglect the externals of your worldly needs, all the while keeping in mind your end and ﬁnal resting place. Be extremely vigilant about avoiding positions of leadership, but should you be tried with such matters, know your own limitations. Be absolutely sincere to Allah with the sincerity of one who knows full well the One who is placing demands upon him. Have a ﬁrm foundation in all of your affairs, and you will be safe from their pitfalls. Organize your devotional practices, and you will ﬁnd your time is extended due to the grace that pervades it. Never be fanatical about anything, whether it is the truth or not, and your heart will remain in a state of soundness toward others. Never claim anything to which you are entitled, not to mention that to which you are not entitled, and you will be safe from connivance and treachery. Indeed, anyone claiming a rank above his own will fall, scandalized and humiliated. Moreover, those who claim a rank they warrant will have it stripped from them. Conversely, those who claim a lesser rank than their own will be elevated to an even higher one than they deserve. Never reveal to your companion anything of your state other than what his own state warrants. The reason is that if you go down to his level, he’ll have contempt for you; whereas if you attempt to raise him up to your level, he’ll forsake you. Never demand a right from anyone, whether an intimate or a stranger. The reason is simple: a stranger owes you nothing, and one close to you is too important to direct your blame toward. Never assume that anyone in this world can really understand your circumstances other than from the perspective of his own circumstances, because, in reality, people see things only in accordance with their frames of reference and their personal path. However, when aims, purposes, and aspirations are similar, people tend to work together toward a common goal. Never belittle any talk that concerns absent people even if there is no harm in it due to the likelihood of harm entering into it. Guard your secrets even if you feel safe with someone because the one to whom you divulge your secret is not a safer vessel than your own heart before you revealed it. Never leave an atom’s weight of your regular devotional practice (wird). Never be lenient with yourself in either relaxed times or those of high resolve. Indeed, should you miss some of your practice at a given time, redress it later. If you are not able to do your usual practice, at least occupy yourself with some other similar practice. Never obey your selﬁsh soul even for a moment nor believe any of its claims no matter what it says. To the utmost, guard your resolve in all affairs; and should you resolve to do something, do it immediately before it abates or dissipates. Examine your soul constantly in matters you are obliged to do or those that you should do. Leave off anything you don’t need to do, even the recommended – in short, do not involve yourself in anything other than the absolutely necessary or that in which a real discernible need exists. For you too have faults and others too have tongues! And should they oppress, repel it but with kindness. In summation, repentance, awareness of Allah, and uprightness are the foundations of all beneﬁts. The truth is manifest, and its details are weighty and signiﬁcant. 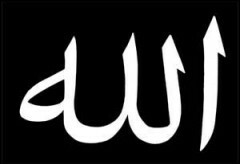 The affair belongs to Allah. Success is in His hands. Peace. About: Ahmed Zarruq (or Sheikh Shihab al-Din Abu al-Abbas Ahmed b Ahmed b Muhammad b Isa al-Barnusi al-Fasi Zarruq) (1442–1493) was a Shadhili Sufi Sheikh and founder of the Zarruqiyye branch of the Shadhili Sufi order (Tariqa). He was born on the 7th June 1442 (846 of the Islamic 'Hijra' calendar) in a village in the region of Tiliwan, a mountain area of Morocco. He was a contemporary of Muhammad al-Jazuli, another famous Scholar and Sufi Master. He took the name 'Zarruq' (meaning 'blue') and he studied the traditional Islamic sciences such as jurisprudence, Arabic, traditions of the Prophet and wrote extensively on a number of subjects. His most famous works are first of al his Qawa’id al-Tasawwuf (The Principles of Sufism), his commentaries on Maliki jurisprudence and his commentary upon the Hikam of ibn 'Ata Allah. He traveled East to the Hijaz and to Egypt before taking up residence in Misrata, Libya where he died in 899 (1493). May Allah raise his station to further heights among the blessed companions. Spiritual Counsel of Famous Shadhili Shaykh Sidi Ahmad Zarruq, may Allah bless his soul. Translated by Hamza Yusuf.